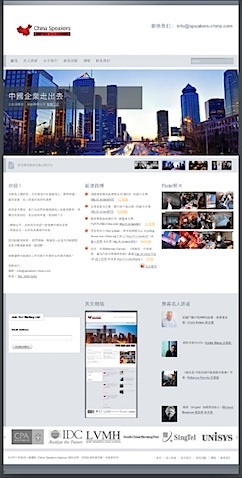 We at the China Speakers Agency is proud to launch our new Chinese website 中國名人演講堂 to better serve our Chinese clients who are looking for top-notch speakers to inspire their teams and clients at their upcoming events. We are working hard at populating the site with our speakers’ profile and share great ideas from our speakers. Are you an MNC looking for concrete know-how on how to do business with / in China, or a Chinese company entering the global market looking for international experience? Contact us today to engage our Chinese Expert for your next event.